I want to continue discussing Gilman’s “TYW.” This is such a rich and complex piece of literature that it is impossible to cover every aspect of the story I would like to. (We could spend weeks just on this one short story.) So for my second blog post on “TYW,” I will just to touch on three topics: 1) how can “TYW” be considered an example of Gothic literature, 2) in what way does Gilman’s narrator escape her confinement, and 3) how should we understand the rather confusing ending to the story. The term “Gothic” nowadays conjures images of angst-y teens listening to “The Cure,” reading Poe, and wearing all black. 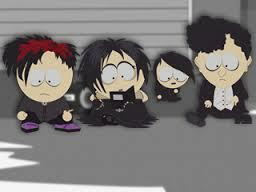 Goth kids as depicted by Trey Parker and Matt Stone, creators of South Park. Originally, “Gothic” referred to the Visigoth germanic tribe, and eventually it came to mean anything medieval, especially architecture. 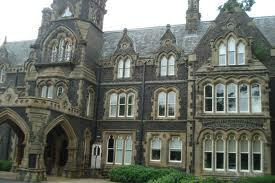 Gothic architecture was popular from the 12th through the 16th century . It is mainly defined by high arches and ceilings, high spires, and flying buttresses. 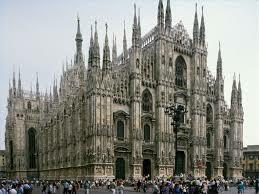 1) Earlier Gothic literature was generally set during the Medieval period and in Southern Europe – Italy or Spain. Later Gothic literature does not follow this convention; however, most Gothic tales will take place in a castle or ancestral mansion. 3) A plot line for some Gothic tales usually focused on the psychological suffering of a heroine imprisoned by lustful villain. 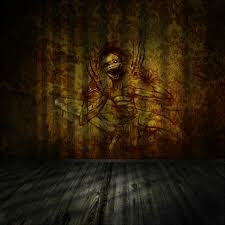 4) The mood that Gothic literature creates is gloomy and terrifying, with elements of the supernatural. “I lie down ever so much now. John says it is good for me, and to sleep all I can. The fact is that I am getting a little afraid of John” (662). If that was all there was to “TYW,” we could probably dismiss it as a generic Gothic tale. However, the brilliance of Gilman’s short story lies in how she twists the conventions of the Gothic genre. For example, the narrator is not imprisoned by a lustful villain but by her own husband/doctor, who while ignoring his wife’s objections confines her for therapeutic reasons. (I love the moment when the narrator claims that she can see through her husband, that he is only “pretend[ing] to be very loving and kind” . 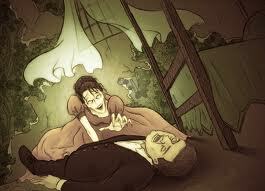 Maybe through her madness, the narrator can see the truth that John is not such a caring spouse/doctor!) Also, in Gothic tales the woman who is imprisoned is typically silent; that is, the reader does not have the opportunity to gain insight into what she is thinking. In contrast, Gilman’s narrator is the only person whose voice we actually get in the short story. So a typically silent female character gets to speak! Finally, and most importantly, the imprisoned heroine escapes on her own in “TYW,” albeit through her madness. I think that Gilman takes typical Gothic conventions, which do not allow for much female power, and transforms them in such a way that gives power to her female protagonist. As I mentioned in the last post, part of the Mitchel’s rest cure was prohibiting his female patients from any intellectual exercise. In “TYW”, the narrator mentions how she is “absolutely forbidden to ‘work’ until I am well again” and that she has to hide the journal she is keeping of her experience from both John and his sister Jennie. . The narrator is made to feel by John that some how writing is causing her nervous condition: “[John] says that with my imaginative power and habit of story-making, a nervous weakness like mine is sure to lead to all manner of excited fancies” (658). The narrator then is not only confined physically, i.e. being barred into her room, but also intellectually. The story we read – the narrator’s writing her thoughts – is then a form of escape for her and a way of undermining her husband’s/doctor’s authority. The narrator is able to secretively break the confines that John/her doctor has imposed on her by journaling her experience. This passage may have caused some confusion: when does the narrator “creep” during the day? She only ever mentions her writing during the day. 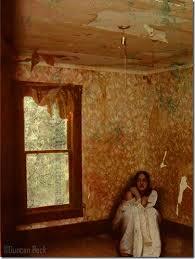 I believe here the narrator equates her writing with the woman in the wallpaper creeping. The ending of Gilman’s “TYW” is enigmatic. First off, what does John witness when he walks into the room he has confined his wife to? Why would this cause him to faint? Does John die at the end? What does the narrator mean when she writes, “But he did, and right across my path by the wall, so that I had to creep over him every time” (666)? These are questions that scholars and readers of “TYW’ have been struggling with for decades and do not have clear answers to them. Two scholars, Sandra M. Gilbert and Susan Gubar, authors of The Madwoman in the Attic, interpret the ending as the narrator’s triumph over her husband. * Seeing his wife’s escape through madness from his physical and intellectual confinement of her, John is overcome and swoons, a rather un-masculine thing to do. The final scene – the narrator crawling over John’s body – suggests a reversal of power between husband-doctor and wife-patient. This discussion of how to understand the ending of the story brings us back to a question I posed in the previous blog post, one that I want leave you to think about: why is it only through her madness that Gilman’s narrator can see her imprisonment and so escape, in a fashion, from it? This entry was posted in Uncategorized and tagged Charlotte Perkins Gilman, female confinement, Feminism, Gender, Gothic literature, madness, The Rest Cure, Women Writers. Bookmark the permalink.